It was Gurupoornima 1964. I was prostrating and taking His leave. Swami asked, "Why are you working only in Men's Colleges?" I replied, "My subject Botany is available only there". Baba said, "Why don't you start Botany in a Women's college?" I came to realise the potency of Bhagawan's words only after I reached Madras next day, 12 Jul. 1964. I was transferred to Queen Mary's College for women as Asst. Professor of Botany without any effort on my part. In June 1971, I was expecting a promotion as Professor. I learnt from newspaper that my junior had been promoted. I was shocked. I had none other than my Swami. I rushed to His Abode. He said, "Go back and sit in your usual place in the temple". I was in the Guindy Mandir next morning by 7AM. Dr. T K Govindarajan, a devotee, suddenly appeared. I explained my plight in detail. He said that his own brother was the person to be approached. In the next few hours, my principal told me that I was wanted at the secretariat. There I was told that my posting order has already been signed by the Secretary. He asked me immediately to join as Professor and Head of the Department at the College for Women, North Madras. I remembered the words of Swami, "Sai Sankalpa is Vajra Sankalpa". At every point of my career, a favourable action was taken by the authorities due to Divine Sankalpa. There was absolutely no effort on my part. There was still jealousy expressed from even unexpected quarters. This gave me a chance to identify my true well wishers. Every year I used to plead and Swami used to console me, "Don't worry. Nothing will happen this year". Things went on for many years without my being transferred out of Madras. Just three years before my retirement (1986), when I asked the same Blessings, Swami replied, "This is the 111th time you are asking. Hereafter you will never be transferred". I learnt after my retirement that even during the last year of my service, there was an order of transfer, but it never reached me. I remembered His words, "Ninnu inta Varaka Kapade Devudu Ippudu Vadaleshada" meaning, the God who protected you, all these days, will He leave you now? The worst tragedy came when my mother breathed her last in the early hours of 14 March 1957. I, who had never entered the kitchen, had to prepare my own food. Instead I took hotel food. I threw away my jewels and wore only white dress. My relatives gave me a lot of mental and physical agony to force me out of my own house. Bhagawan was my only solace. I went to attend Dasara at Parthi. Swami said in a very angry tone, "This world is full of pain and misery. Why are you adding to it? Are you not by your behaviour emanating grief to all? By adding more pain to others, you are incurring more sins. Be happy, be bright, spread Ananda everywhere. By looking at your life, let others forget their own problems and worry. Spill and spread Ananda everywhere". From that day I turned a new leaf. In spite of loads and loads of troubles, it never affected my inner core due to the Abundant Grace of my Lord. It was 20th Oct. 1962. Madras was threatened by a cyclone. I was worried about my father and rushed to Guindy. Two days later, he stopped me from going to college. The whole day was a day of old reminiscences. He started enlightening me about future, in case he were to leave suddenly. All he said and did, indicated that he was preparing for his exit. He showed me a gift deed in my name and all valuables and movables he had collected in the temple. He almost begged me to become his successor in managing the temple. Next day dawned in all gloom. He ordered the cook to prepare 'Vegetable Biryani' and 'Kurma' which Baba loves so much. After noon Puja he left the temple and came home. It was raining cats and dogs. He asked me to shift all movables from Triplicane to Guindy. He began cutting jokes after jokes. Suddenly with a jerk of his head, he closed his eyes. I opened the darkest chapter of my life. I remembered that my father had built a vault in a corner of the temple to inter his body. My father was given a divine permanent rest where he loved most, much to the disappointment of some devilish minds. Good hearted tenants sent word urging me not to enter my residence, as a bottle of acid was awaiting my arrival. The Chinmaya Mission Mahila President took the role of my mother and provided me new clothes. I was forced to renounce - clothes, jewels, books, degree certificates, which I later received as ash. Attempts were made to kidnap me. All valuables were removed from my residence. I felt orphaned to the core. Steps were even taken by close relatives to suspend me from Government service. I was saved by the Director of Collegiate Education. I tried to recollect the Lord's words, "Why make a sad world sadder by your lamentation and suffering?" Brighter days dawned from 6 Dec. A condolence meeting was held by the (temple) trust. I had till then no response to my letters to Bhagawan, the Spiritual and Executive Trustee, to whom the temple belongs. I implored the presiding Deity to protect His temple. I heard the voice of M E Raja Pillai announcing, "Amma, Baba has come". I prayed within, "...Aparadh Kshama Karo Sayi Praho, Jeeva Yatnamey Saath Raho...". I rushed to Alwarpet (past midnight) and waited at the gates of the house. At dawn I was instantly summoned to his Divine Presence. I wept to my heart's content and Bhagawan ordered the trust meeting the next day. So all my preparations to leave were totally defeated (by the Lord). I had been longing to join an ashram even while in high school. Swami gave me His First Interview in Sep1943. He said, "Wait. There will be an Ashram of your own - your father will provide". I realise the potent words of the Lord as late as Dec.1962. Swami Chinmayananda was opening an ashram in Bombay in Jan1963. I had received my admission and my father had known about it. I had planned to leave after Swami left for Bangalore. Swami had thrust that envelop in my hands and my plan for 20 years never got materialised. It is Lord's plan for man. I am reminded of His Divine words, "When there is a desire for mental tranquility, I hurry to grant it. Where there is dispiritedness, I hasten to raise the drooping heart. Where there is no mutual trust, I rush to restore it. I am ever on the move to fulfill the Mission for which I have come. I want to light the lamp of Prema in every heart." By then litigations started mounting. Whenever I went, Bhagawan used to proclaim, "Dharmo Rakshathi Rakshithaha". Sri K G Manickavasagam, a honest lawyer of great integrity, was approached but he was related to the other party. I rushed to our Lord at Alwarpet. Instantly Baba asked me to phone the lawyer. The lawyer said, "I had decided to take up your case, since it relates to a temple property". Bhagawan asked me to bring the lawyer to discuss the case. He came after mentioning that he would never do Namaskar or prostrate before any Swami. But about two car loads of the lawyer's relatives came to have Darshan. When Swami came to meet the lawyer, he suddenly fell at the Lotus Feet of Baba. He started shedding tears of devotion. When he opened the case bundle, Swami said, "I know what is going to happen in the case. Only if I call you to discuss, you will come. You have a pure heart and I want to make you my devotee. Your qualification is BSc. BL. Do you know ABC of spirituality? You are a zero. I will teach you". Swami started giving Upadesa, "By means of Nama, Prema is developed. Through Prema, Dhyana of the Lord can be developed. However many paths, there is none as easy. ..... Keep always trying to turn others into good ways. One should cultivate Peace of Mind, Charitableness, and Eagerness to promote the welfare of all". Thus, he had drawn like a magnet this chosen devotee. Swami made him the District President of the Organisation in Madras, later the Editor of Sanathana Sarathi (Tamil) and finally as Member of Sri Sathya Sai Trust, Tamilnadu. Bhagawan asked him to give me all protection like a father. One day he had heart attack. I rushed to Whitefield at 8AM in the morning. Swami manifested Vibuthi and gave me directions to apply on his chest. He told me not to tell anybody that He will visit Madras next day. I rushed to the hospital gave the Prasad to the lawyer. In a few minutes he was taken out of the Intensive Care. Babaji arived by flight with Indulal Shah by noon and gave Darshan and Prasad to his staunch devotee at the hospital. He blessed the other patients in the hospital and left in the evening. "Just take one step towards Me and I shall take ten". In the court, Bhagawan used to give His Darshan with 'Abhaya Hastha' just a foot above the head of the judge. Bhagawan's words (Nee Vantaney Intaney Kantaney Kanti reppa valey ninnu, nee kaapadu thaanu) acted on me like a perennial spring and made me 'fearless'. I came out victorious in all litigations, which lasted over 23 years! Thus Bhagawan became my Dharma Poshaka, Dharamasthapaka and Dharma Rakshaka. To Him, my Dharmachari, my eternal prostrations. 30Jan. 1948, the Father of the Nation was shot dead. I started weeping profusely. My eyes turned red, became painful and my vision was blurred. I became very ill. The doctor said my blood had become poisoned. We received a letter from Swami that He would be performing the marriage of Kuppam Vijayamma (author of 'Anyatha Saranam Nasthi'). He added, "Your Kumari is unwell. Bring her to Kuppam". My father immediately took me to Kuppam. There was no confirmation from Bhagawan to visit. Everyone became jubilant, when my father showed the letter. The next moment, Bhagawan's car reached the place. I rushed towards His Lotus Feet. Immediately all pain subsided, tears stopped flowing. He sang Thyagaraja Keerthanas and Meera Bhajans in the evening. He asked us to leave in the evening and blessed me with a First Class in the final year BSc examination. Baba materialised a Vibuthi block having iodoform smell and a silky touch. He smeared it on my eyelids and asked me to repeat the treatment frequently. He kept jasmine petals in a handkerchief and tied the bandage on my eyes. He said that it should be removed on reaching Madras and I have to attend college. How could I express my gratitude to the Lord who gave me a fresh vision? June 1965 - suddenly several white patches appeared on my face. I rushed to Whitefield. Swami just gave a glance and asked me to look at the mirror. Lo! My face appeared without spots. His very look acted like a laser treatment. My brother had a baby boy born in 1965, with 'club foot'. The doctor had informed that he would be operated when he became 9 years of age. Baba told us that no operation should be performed. He materialised a gold pendant of Lord Shiva and Parvathi. He asked us to do Abishekam to it daily and give the water to the boy to drink. Within a few years, the boy could play football! April 1972, my brother had an accident and taken to the hospital, unconscious. The upper arm bone was bent like letter 'S' and he had multiple fractures. After 4 months, a plate was fixed inside. A doctor said the forearm should also have been operated. Because of gangrene, the forearm might have to be amputated. Bhagawan instructed us to take him to Parthi. He materialised Vibuthi and gave him. He materialised a ring with His own figure carved on it. He slipped it on the little finger. He advised us to apply some warm oil daily on the forearm. A doctor from Puthur straightened the bone one day. In a month's time, the hand looked normal. June 1991, I had returned after attending the summer course. My right eye started giving me trouble. It was diagnosed to be a fungal infection. There was no sight in my right eye and I was afflicted with acute glaucoma, iriddocyclitis and fungal infection. I reached Whitefield. Bhagawan asked, "What happened to your eyes?" I had only a partial vision of my Lord. I had Padanamaskar, attended two Bhajans and His Discourse at 'Trayee Brindavan'. He explained how Sri Ramachandra had suffered, how Pandavas had suffered. He said, "Nowadays devotees do not want to have any more birth. If I have to make them merge, is it not fair, that they suffer for all the sins in this birth itself? All varieties of problems strike only the devotees. Only when there is intense pain, Ananda can be enjoyed". After Arathi, Bhagawan told me "It is reduced now" and gave me a slight pat on the head. A tiny particle entered my eye and started revolving like Vishnu Chakra. Swami left next morning and sent packets of Vibuthi for me. All Sevadal sisters at Guindy decide to take care of me by turn. They made me forget my problem. On 21 June, the doctor told me that I was free from all infections. He said there was scope for my vision getting restored. I was treated with cortison tablets which was gradually reduced. The side effects were unbearable. 26 Jun.1991, was a memorable day. At 0230AM I saw Bhagawan descending from above, seated in His red chair, with His Lotus feet crossed. I kept them on my head. He said, "I have come. You have become alright". Instantly I regained my total vision. I could not sleep at all due to joyous excitement. I wonder a how to express my intense gratitude. The only way will be to live as He wants us to live - with 'Love' in my bosom, 'Service' in my actions and 'Sacrifice' in my attitude. It is not enough for all that Bhagawan has done for me. Swami says, "The entire give-and-take is the play of life". Dr. Ramalinga Mudaliar went to Parthi, as his wife was having appendicitis and urinary bladder problem, while in the family way. He stayed there more than 40 days and daily Bhagawan promised to perform the operation Himself. The doctor had exhausted his leave. Baba materialised a tiny cylindrical bottle with amber colored medicine, during the interview. Swami said that the medicine would last only a fortnight and after that the appendix would come out. I was administering this medicine and exactly after 15 days, the bottle was empty. Next day the appendix was in the excreta. Swami had removed it without a knife. "Regular prayers twice a day, will give strength and courage to withstand illness. The Grace of God will confer mental peace. Feel that you are hundred percent dependant on God. He will look after you and save you from harm and injury", says Swami. 1963, Baba was in Madras. I used to sleep in the temple, as Bhagawan had said that it was the only place of Divine Protection. One night, 3 or 4 tiny cobras surrounded my bed, and followed me wherever I went. I rushed to Bhagawan at dawn. He said I should not come out of the temple, as there was protection only there. he said that it was the act of some enemies. The same year, a relative used to abuse me every Thursday, at the gate of the temple. When I went to Baba, He said that the person will not reach the gate thereafter. By His mere words uttered in PN, someone in Madras was restrained. I had yet another encounter with snakes in 1964. A cobra, 12 to 15 feet long, was about to strike the boy, bringing coffee, approaching my house. After sometime it hid itself. When approached, Swami said, "Kill it, burn it, pour milk and bury". At 5PM we saw it again at the gate and we did as advised by Swami. Jul.1967, when Swami was in Africa, one night large stones started falling in the temple. The frequency increased daily. I rushed to Whitefield after a week, but Swami had left for Parthi. He came at 4PM and told me that such a thing will never repeat itself. 25 years later, He said that it was the foul act of a relative. He said that if He had revealed the truth, I would not have had any peace and would have refused to return to Guindy. I engaged a night watchman as per Swami's advice, but the person became a nuisance. When I implored Bhagawan, He said, "nenae watchman ga untaanu - I Myself will be your watchman". A tenant of mine, at midnight once, saw our Bhagawan leaning against the parapet wall of the Mandir, like a watchman. After that the tenant could not sleep at all and reported to me. He was perspiring and tears flowed down his cheeks. Bhagawan never fails in His words. Peoples War group of Andhra Pradesh had announced a bandh call from 6AM on 4Aug. 91. Our bus to Parthi was near Bukkapatnam at 5AM. Suddenly the bus stopped since the road was blocked. Myself and Radhika went towards a gang of men who asked us why we were travelling. When we told them about morning Darshan, they commented sarcastically that we could have Darshan on the same road. Fear engulfed me, seeing their dreadful weapons - they were naxalites. They suddenly started smashing the window panes without forewarning. We were at our wit's end. They left the place as the darkness was being cleared by daylight. A police inspector arrived who tried to blame the driver and conductor. We told him that the passengers were alive only because of the calm attitude and patient approach of the driver and conductor. Around noon we were escorted by the police and we could see the same gang of naxalites under a tree. I was chanting "Sai Gayathri". During afternoon Darshan, Swami remarked, "Your life ought to have gone, but those naxalites were good people". Tears of joy welled in my eyes. I realised then the potency of chanting "Sai Gayathri" when we are in danger. Swami has given Darshan as Rama or Krishna or Jesus, to many devotees, but here He does something opposite. My father told me just the day before passing away that he had vowed to go on pilgrimage to have Darshan of Lord Aiyyappa of Sabarimalai (Kerala). In March 82, when I asked about fulfilling my father's wish, Swami said, "You must fulfill his wish. i will be coming along with you". He blessed me with a Thulasi Mala. We had to undergo some rituals. We proceeded to Palghat by train, and were greeted by a busload of devotees with "Sairam, Sairam". Swami was reminding me of His Presence. We reached Sabarimala and climbed the 18 steps. The Sanctum door opened and Arathi was shown to Lord Aiyaapa. What did I see - Form of Aiyyappa with the Head of our Lord "Sathya Sai" to prove me they are the same. I rubbed my eyes and asked the devotees near me - they were seeing only Lord Aiyyappa. At 1030PM, I was still having only our Swami's Darshan. I prayed, "I can see You at Parthi at anytime I like (!) Please permit me to have Lord Aiyyappa's Darshan at least once. I cannot come over here again". At 0330AM, when the shrine opened, I was blessed with the Darshan of Lord Aiyyappa. After we reached Madras, I got a call to visit Bhagawan to handover the first invitation of the seminar on EHV. Swami came along Darshan line exactly opposite to me and said, "Yemi Darshan is they vaddhantava?" (When I give Darshan, you have the audacity to say, 'Don't give Darshan'). I caught hold of His Lotus feet to pardon my arrogance. The Thulasimala got snapped and fell at His Lotus feet. I collected it and thanked the Lord for completing My Sabarimala Yathra at His Lotus Feet. The pilgrims visiting the temple for Makara Sankaranthi (Jan14) witness the appearance of a star like celestial light on the northern horizon. It is known as 'Makara Jyothi' and lasts a few minutes. It is symbolic of Lord Aiyaapa's Presence to bless the devotees. Swami was in Madras for Christmas 1964. He asked me to go to Parthi for New Year. During the train journey, a huge monkey jumped on my head and blood oozed out of the injuries on the head. The pain was unbearable. Swami was not at Parthi and we rushed to Whitefield. Swami welcomed me, "How did you escape from Hanuman? I have saved you from a fatal hit on your head from a human one". I placed a newly made 'OM' pendant at His Feet but He said it looked like a Mangal Sutra for married women. He closed it in His palm and blew. It had been replaced by a big pendent with Bhagawan's Form on it. Again He closed it and blew. It now had a diamond studded frame with five large pearls hanging. Swami explained He was Divinity and the multicolored background indicated the pluralistic world. The diamonds represented the Kalas and the pearls, the Pranas. He said it would serve me as a protective shield. Any change in color of any pearl meant meditation to correct a particular Prana. He added that it was a gift for 25 years of devotion. Mercy and Kindness for His children? One morning at Whitefield, Swami took a Manoranjitham flower (Artabotrys) with fresh green petals. He carved a figure of a peacock with wings spread on one petal in a few seconds. He blew over it and it became a large amethyst stone. He blew again to transform it into a large diamond. Then it became a saphire stone. Finally it disappeared. Perhaps Swami has shown us in a very informal way His Divinity. One evening at a quiet spot at Horsley hills, Swami materialised a Dattathreya photo and gave to Ramanatha Reddiar. After a few days, in a group photo we were astonished to see the Form of Dattathreya in place of Swami. Swami's first Bhajan on Avatar Day 20Oct. 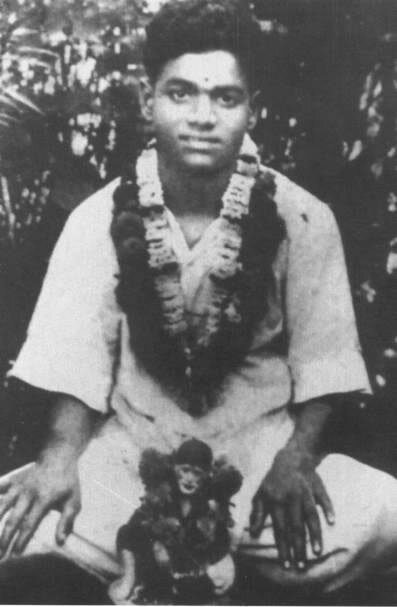 1940, "Manasa Bhajare Guru Charanam" contains the last line, "Om Sri Datta Anusuya Puthra Sai Babaji Venkusa". In "Guru Charithra" Lord Vishnu is mentioned as Datta and son of Sage Atri, hence the name Dattathreya. Since this Avatar is for the welfare of all creatures, He does not lay down His body but goes on wandering and manifests as perfect saint of all religions of the world. Akkalkote Maharaj and Shirdi Baba are considered as Dattathreya Avatars. 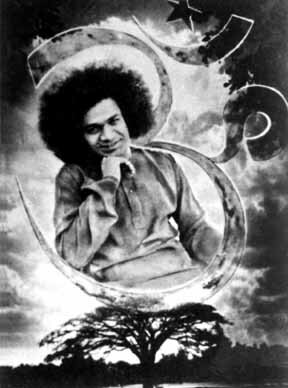 Bhagawan Satya Sai is also Dattathreya. During one summer in Ooty, Smt. Bulbir Kaur (Mathaji) joined us after the miraculous cure of her cancer by Bhagawan. He asked her to look after her. One day her tablets ran out of stock. Our Vaidhyanatha Sai just took a Dahlia flower offered to him and gave two pats; there was a heap of green translucent capsules. She got immediate relief from them. On 6 Jan. 63, Vaikunta Ekadesi, Swami witnessed the Abhisekam at Guindy temple and left. He asked me to join the devotees at Alwarpet going to Mahabalipuram with Him. I was late and missed it. Next day He showed me two silver idols of Lord Vishnu and Lord Krishna about 6 inches high, created the previous day. He asked me to take one. In 1962, when I lost all my possession including idols, Swami had advised me to go beyond Form to the Formless. So I repeated this to Swami and He said He was testing me. He gave me "Amruth' from a beautifully carved small gold Kalasa with a tiny gold spoon, manifested the previous day. He blew over it and it disappeared. "The Joy of the devotee gives Joy to the Lord. The Joy of the Lord is the Reward for the devotee"
There are tombs of Saints over which temples are built. Some deities are special manifestations to answer a specific prayer of a devotee. Even the lower organisms are the main cause of origin of some temples. Sri Sathya Sai Mandir, Guindy belongs to the Divya category. It is created by God Himself in human form. The installation ceremony was also done by Divine Hands on Thursday, 3Feb. 1949. The Shakthi or Divine Power to the idol was also given by the Lord Himself directly. Bhagawan breathes Divine Prana into it during every visit. Before installing the idol, Swami manifested Lord Ganesha, nine gems, Gold Thumbi flowers, Srichakra, Vibuthi, Kumkum and Turmeric powder and placed them in the pit and then installed the idol of Shirdi Baba. Rare indeed is it to find such Divinity charged idol. (It is in this temple, the first idol of Shirdi Baba was installed by the Divine Hands. At Shirdi, at that time, only a picture was kept near the Samadhi and worshipped). During Dasara 1943, Sri M J Lokanatha Mudaliar, residing at 13, Veeraraghava Mudali Street, Triplicane, Madras suddenly became mentally ill. Doctors gave up hope. The house was plunged in sorrow since Friday morning. Saturday past midnight, he said, "Just now a very young charming and beautiful Saint with curly hairs and red gown entered our Puja room. He gave me Tulasi Theertham (water) from the vessel in the shrine, three times. I am now cured". He fell fast asleep. Sunday lunch time, a car suddenly stopped in front of our house and Swami entered the bedroom. He said, I came last night and gave Theertham, Naina - are you alright now?" My father tried to prostrate but his knee was dislocated. Swami instantly pulled the large toe and the ball and socket joint got refixed. Swami materialised a lime and kept it under the pillow. He tied a talisman round my father's neck. He invited my father to Parthi next day itself. Swami told us that a black magician had done havoc to my father, because he was evicted from our land at Guindy. He said, "Dig the spot and remove the remains of goat and chicken etc". A great Siddha Purusha had entered into Jeeva Samadhi there in 1904. The local urchins used to throw anything - including excreta of goat and chicken at him. He would quietly convert them into gold or sandal wood paste and return to them. Sri Kaka Bhujanga Nadi gives his name as Sri Satyananda. He had met Shirdi Baba. He had predicted and written on palm leaf that to the right of his Samadhi a Saint's temple would come and to its left an Industrial Estate. My father reached Penukonda and Chithravathi was in floods. Swami had apportioned a portion of His Lunch, to keep for 'Loganathan'. He rushed to the banks of the river to lift my father from the waters. My father had an idea to build a bungalow for Swami at Guindy. With Swami's blessing, construction began. A letter from Swami instructed Mudaliar to construct a Bhajan Mandir, instead of Bungalow. On 10Jul. 1946, Babaji laid the foundation stone. he materialised Sri Chakra, Kumkum, Turmeric and Vibuthi and placed them in the pit and then fixed the foundation stone. He said, "This place is going to become very sacred and famous soon. This is My first Mandir and First Spiritual Center". A snake pit started growing very fast at the northern part. Wherever there is Sai, there will be Naga Sai. The saint in Samadhi had also said that he will be there in the form of serpent for hundreds of years, blessing devotees. Shirdi Baba came in the dream of the Station master and told him to prevent my father from destroying the snake pit. Swami ordered us to build a Mandap over it to check its over-growth. Devotees offer milk there. Prayers to give vision, for progeny etc. are blessed with quick results. Babaji gave a small clay model of Shirdi Baba. In a village near Madhuranthakam (south of Madras), an old Muslim Saint appeared in the dream of a sculptor and ordered him to go to this temple for work. He came to my father and offered his services. he chiseled beautiful idols of Lord Ganesha and Lord Shirdi Sai Baba. The side view of the idol reflects the form of Sri Sathya Sai. It radiates Joy and Peace all round. The sculptor promised to return for wages, but he never did so! Thursday 3Feb. 1949 is the day to be written in Gold. Baba came by flight from Hyderabad with Sakkamma, Chincholi Rani and others. The registration of the Trust Deed was completed and the idols were taken in procession. Swami first installed Lord Ganesha in the Ganesh Mandir. Then He called all family members inside the Sanctum. He materialised a silver Ganesha idol and kept it in the pit. He manifested nine gems, gold flowers, Sri Chakra and placed them. He placed the idol of Shirdi Baba and did Ashtabhandanam with His Divine Hands. He decorated the idol with flower garlands and showed Arathi. Suddenly He said He was going to give Power to the idol. It levitated, being pushed up by the Divine Energy of Babaji and then got settled after being energised. Even now several devotees recollect this Divine Leela. Bhagawan stayed for a month and daily visited the Mandir, morning and evening for Puja and Bhajans. Once in 8 to 10 years Bhagawan used to perform Ashtabhandanam to the Deity by His Divine Hands and give additional Power by manifesting Sri Chakras, Navarathna. 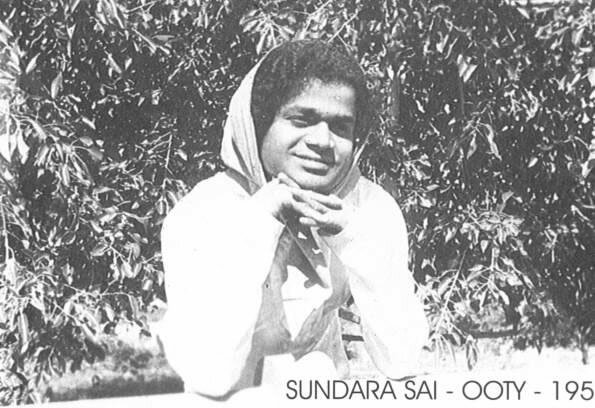 Swami materialised a Sudarshana Chakra in 1984.